Google is hosting its Chrome Dev Summit today. 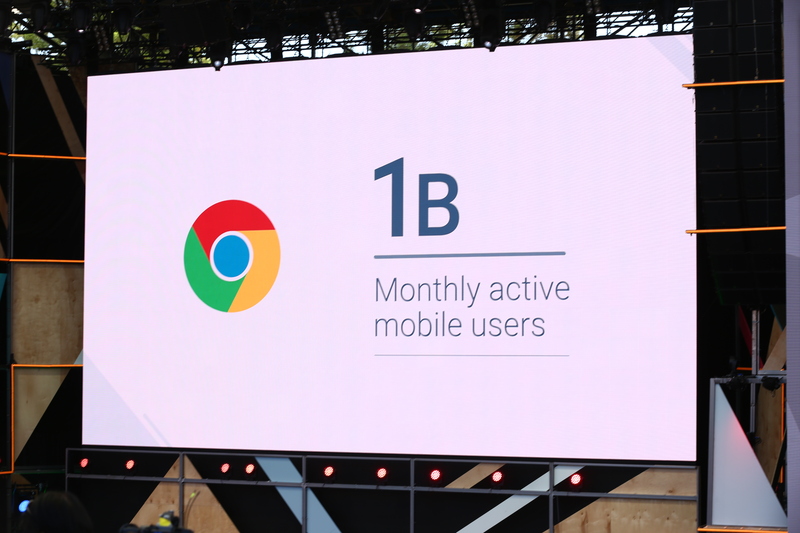 There hasn’t been a lot of news out of the event, but one number that stood out in today’s keynote by Chrome Engineering VP Darin Fisher was that there are now 2 billion Chrome installs in active use across desktop and mobile. This is the first time Google has shared this number. Sadly, Google didn’t announce any new user numbers for Chrome today. The latest stat for active Chrome users remains at 1 billion — a number Google shared in April. While this number is surely higher today than it was six months ago, the company decided to focus on the number of active browser install today. As Google likes to say, it now has seven products with more than a billion users (Gmail, Android, Chrome, Maps, Search, Youtube and the Google Play store).